This all oil base is meant to add salt, sugar or other exfoliants to as a luxurious shower scrub. It is an all natural product that uses a blend of luxurious vegetable oils and emulsifier. It is soft enough that you can just add sugar, salt or other exfoliant, or melt slightly to make mixing easier. 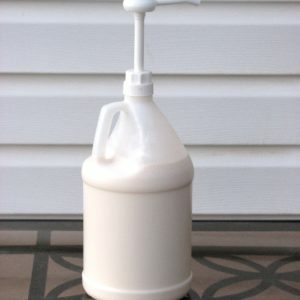 Purchase by the gallon for $115.00, $65 for 1/2 gallon. Shipping charges will be added/adjusted as necessary. Butyrospermum Parkii (Shea Butter) Fruit, Cocos Nucifera (Coconut) Oil+, Oryza sativa (Rice) Bran Oil, Helianthus annuus (Sunflower) Seed Oil+, Prunus Amygdalus Dulcis (Sweet Almond) Oil, Glyceryl Stearate++, Cetearyl Alcohol++, Sodium Stearoyl Lactylate++, Tocopherols, Mentha Piperita (Mint) Extract, Mallow Neglecta Extract, Sambucus Nigra Fruit Extract.